Pure Brandz Verbier men’s ski pants are made with only the best materials on the interior and exterior. Designed to give you a greater range of motion on the hill, the Verbier men's ski pant features articulated knees, which match the natural bend of your knee joints, while in-built anatomical seams mean they are slightly more fitted to body shape. The Verbier waterproof ski pants provide everything you need to stay warm and comfortable on the slopes. Grip tight snow gaiters create a tight seal around your boots to keep the snow out, yet an invisible heat bonded scuff guard around the ankle area protects the edge of the fabric from fraying due to friction from snow boots and skis. The secure pant to jacket connector interface locks pant and jacket together so you never have to worry about snow getting inside your pants and jacket. 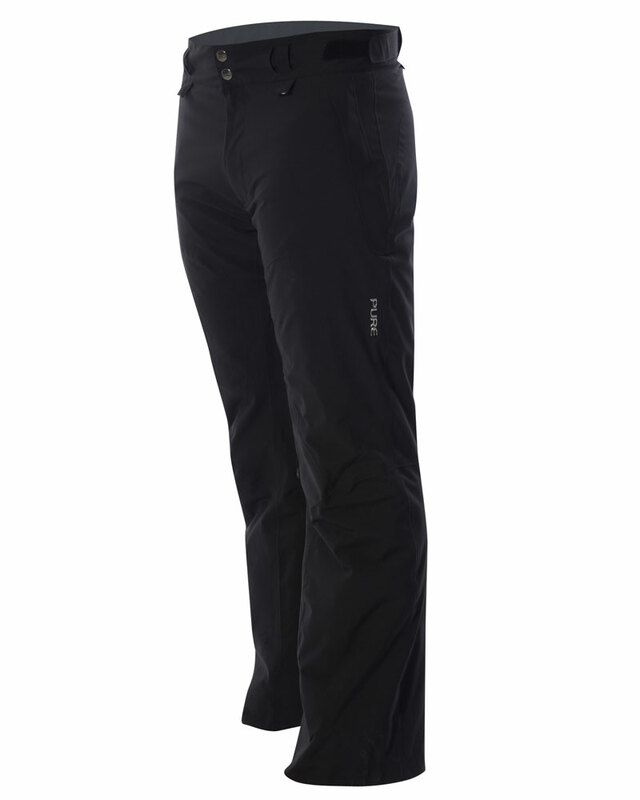 The Verbier is one of the lightest men’s ski pants of similar spec at an average weight of just 583g.